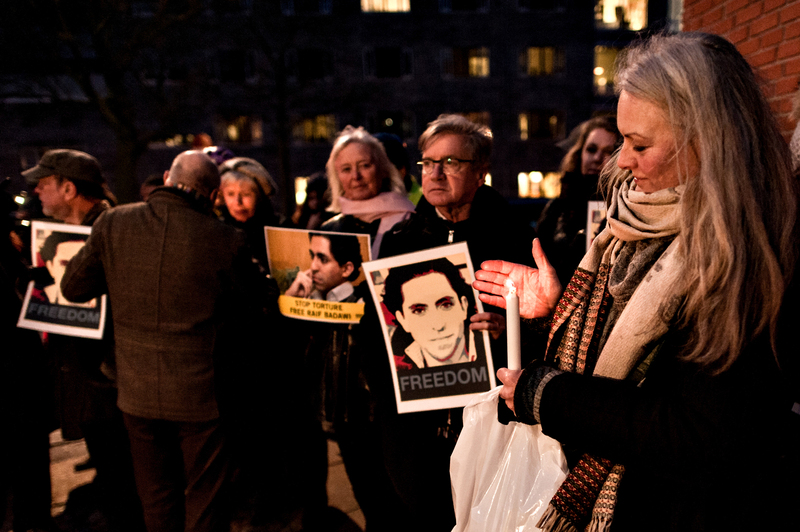 In the wake of the brutal murders of journalists at Charlie Hebdo, PEN calls on Governments to implement their commitments to free expression and to desist from further curtailing free expression through the expansion of surveillance. More than 40 world leaders joined the march in Paris on Sunday to show solidarity against the brutal murders at Charlie Hebdo and in other attacks around the city. This rally and others throughout the world brought citizens of all backgrounds and beliefs together in a remarkable statement condemning violence and defending free expression. • In Egypt, Bahrain, Qatar, Saudi Arabia and United Arab Emirates, where several writers and journalists are behind bars. 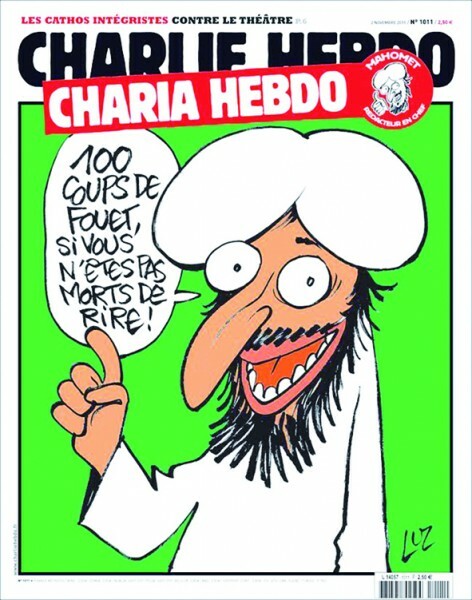 “Governments must not use their response this savage attack on free expression as a cynical publicity stunt. If these Governments are serious in their commitment to free speech and the protection of journalists, they must demonstrate it through meaningful acts - releasing journalists from prison, ensuring an end to impunity for the killings of journalists in their own country and not introducing any legislation which would further limit free speech” said John Ralston Saul, president of PEN International. Equally worrying, certain Governments are using the Charlie Hebdo attack to justify further curtailments on free speech through the expansion of surveillance and anti-terror legislation. Less than 24 hours after the Paris attacks, Prime Minister David Cameron has pledged to introduce new legislation expanding state surveillance powers and curtailing the rights of individuals to use encryption. State surveillance of journalists is considered one of the greatest threats to their ability to conduct their work in safety. 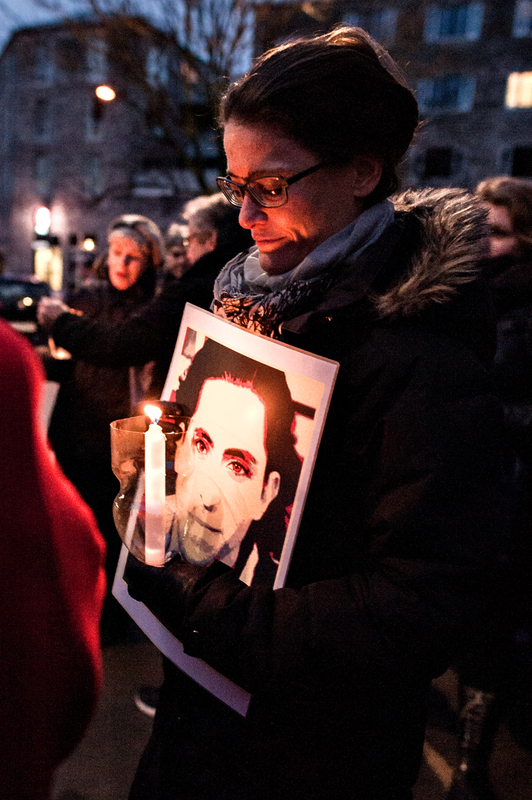 2014 was the second deadliest year on record for the murder of journalists, with some two hundred assassinated. Few of these crimes have been properly investigated, leading to trials. 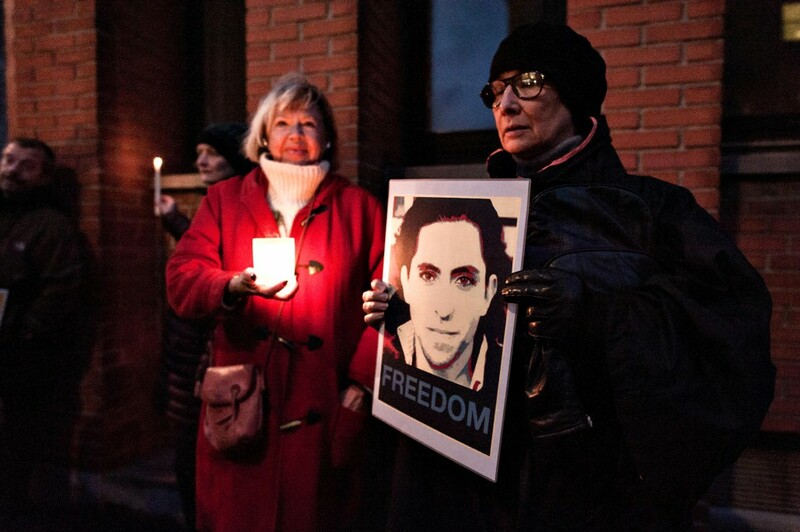 The resulting impunity is the single greatest obstacle to the protection of journalists. If governments are honest about their commitment to freedom of expression they must, at this critical moment, implement these commitments. • Ensure that any new surveillance legislation does not further curtail freedom of expression.If anything, what we need today is a reinforcement of freedom of expression. • Egypt: in addition to the three Al Jazeera journalists, poet Omar Hazek is in prison. 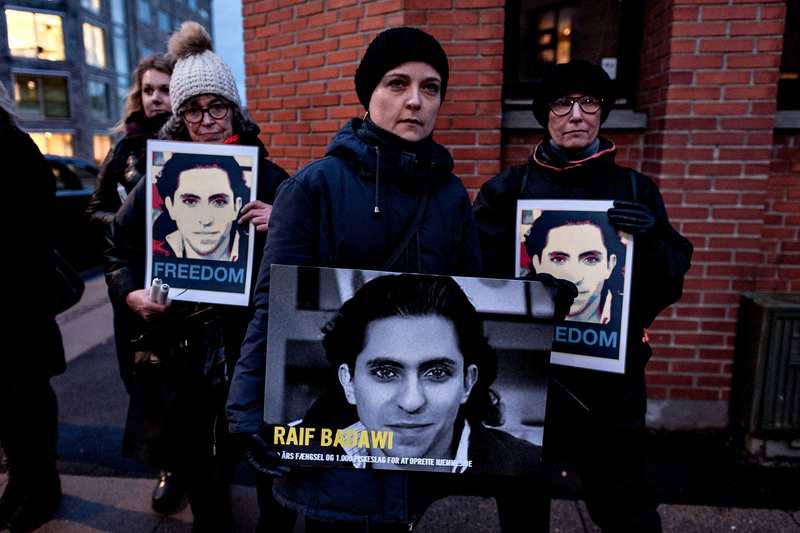 • Saudi Arabia flogged liberal blogger and on line editor Raif Badawi 50 times last Friday, the first of 1000 lashes imposed for ‘founding a liberal website,’ ‘adopting liberal thought’ and for ‘insulting Islam’. • United Arab Emirates: blogger Mohammed Salem Al-Zumer and Twitter activist Waleed Al-Shehhi are in prison. Dansk PEN er rystet over attentatet på Charlie Hebdo. ”Man kan spekulere sig grøn og gul og blå over motivet til at slå mennesker ihjel på grund af tegninger eller artikler, blade eller bøger. Det korte af det lange er, at ingen utilfredshed med et politisk magasin kan legitimere vold”, siger Anders Jerichow, formand for Dansk PEN. ”Det er ikke første gang, at Charlie Hebdo er mål for politisk vold. Og ikke nødvendigvis sidste gang. Skal det kalde på nye begrænsninger af, hvad man kan tegne eller trykke? Selvfølgelig ikke. Vi lever i en tid, hvor der er grund til frygt for, at voldsmænd af forskellig støbning føler sig kaldet til overgreb på ytringsfrihed – og desværre også i en tid, hvor politisk vold har sine apologeter. Både volden og undskyldningerne er ubærlige”.